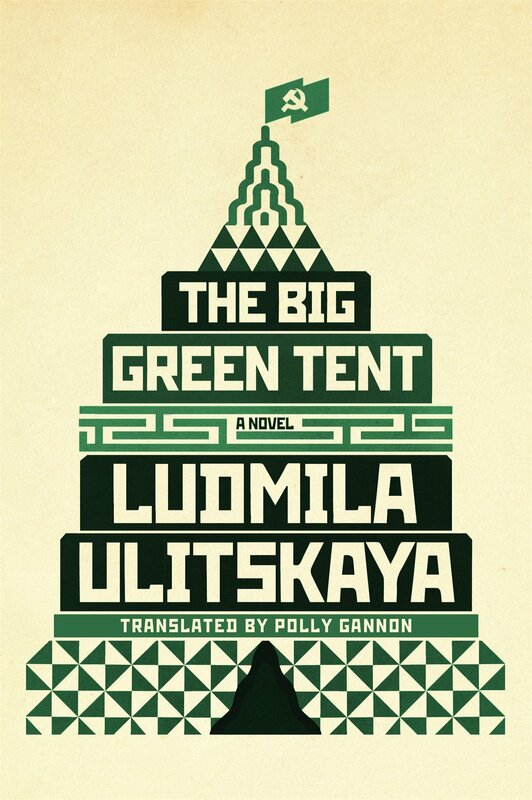 Ludmila Ulitskaya’s The Big Green Tent is an essential new addition to the two-hundred-year-old Russian literary canon and may be the best novel about 20th-century Russia since Boris Pasternak’s 1957 classic Doctor Zhivago. Beginning with Stalin’s death in 1953 and running up through the turn of the century, The Big Green Tent follows a network of three generations of characters through the rise and dissolution of Communist Russia. Central to the novel is a triumvirate of friends: Ilya (an aspiring photographer), Sanya (a former musician with a crippled hand) and Mikha (an idealistic Jewish poet). Ulitskaya first introduces these three in their teenage years as students, but quickly jumps ahead through their respective timelines, from inspired, artistically inclined youths to politically combative and fearful adults. Ulitskaya distances herself from the epic Russian novelists before her by brazenly disregarding linearity and the traditional bildungsroman arc. This is a complex decision, and one that will turn away many readers, but the approach is wildly successful on a theoretical level. 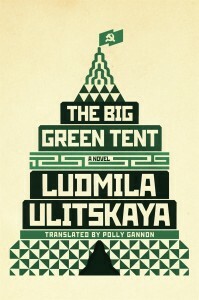 The Big Green Tent opens with a short prologue where Ulitskaya introduces three young female characters and their families’ reaction to the news of Stalin’s death. These three women are set aside for the novel’s first hundred pages, where Ulitskaya focuses on “Trianon” (the self-christened name of Ilya, Sanya and Mikha’s intellectual gang). It’s implied that these girls would somehow connect to each of the boys, and surely they do once they all grow into adulthood. However, it’s not as expected: in a chapter titled “The Big Green Tent,” Ultiskaya recounts Olga’s life in its entirety, from childhood to her marriage to Ilya and their tempestuous, secret life as political rebels, all the way through to Ilya’s death. But this, by far, is not end of Ilya’s story: Ulitskaya returns to him, alive and well, on multiple occasions later in the novel and at various points in his life. After Olga’s first chapter, The Big Green Tent derails into nonlinearity: memorable chapters will settle onto new characters that do not reappear elsewhere in the novel. The novel expands from the middle, bursting with stories about a poet’s wedding, smuggling anti-Soviet contraband, a young girl who unwittingly stuffs her one-size-too-big boots with onionskin pages of an illegal Solzhenitsyn novel. Olga’s friends are periodically fleshed out with as much grace as Ultiskaya bestows upon Trianon: Galya ends up marrying a KGB man charged with investigating Ilya’s actions, and Tamara ventures down the wildly progressive path of medical science. These vignettes function more like short stories than they do episodes of one larger novel, and illuminate the political and cultural realm with a success that would have been unattainable in a more straightforwardly arcing epic. Illegal soviet publications (like the poor, boot-stuffed Solzhenitsyn) are central to The Big Green Tent. Samizdat were “passed from hand to hand in the time-honored pre-Gutenberg manner, on loosely bound, soft, hardly legible pages of onionskin paper. It was impossible to argue with these pages: their truth was so stark and shattering, so naked and terrible—truth about oneself, about one’s own country, about its crimes and sins.” While samizdat makes for a thrilling literary story, Ulitskaya brilliantly infuses her narrative with the same ideas. Unbound onionskin pages appear in the background of many of the novel’s tangential scenes, so many that they might even be considered the sole constant that links them all together. One can project a backstory on their movement, and suspect that a copyist in one chapter might be doing work for the bookbinder that appears in another. Even more, one could consider the entirety of The Big Green Tent as a samizdat-style narrative: the novel’s spotlight is passed around to all corners of Soviet life, confiscated in one chapter by the KGB and freed into the streets in another chapter as characters plot their own expatriation. Like Mikha and an associate learn later in the novel, this was “the basics of conspiracy—not all the participants in the publication of the magazine knew one another.” The nonlinearity of The Big Green Tent is unquestionably difficult to get through, but to consider the book’s arc to be like that of the fate of a widely distributed samizdat novel elevates Ultiskaya’s prose towards the heights of masterpiece. In the words of Sanya at the end of the novel, “in the world, there is an enormous multitude, as well as a multitude of worlds.” This time of revolution not only upheaved a pre-conceived governmental system but also exposed that “enormous multitude,” allowing new systems of both a political and personal complexity to emerge and flourish.